Not sure what size hula hoop you need to begin or continue your journey? Try our Size Shifter! It has a removable piece which allows you to increase or decrease the hoop’s diameter! 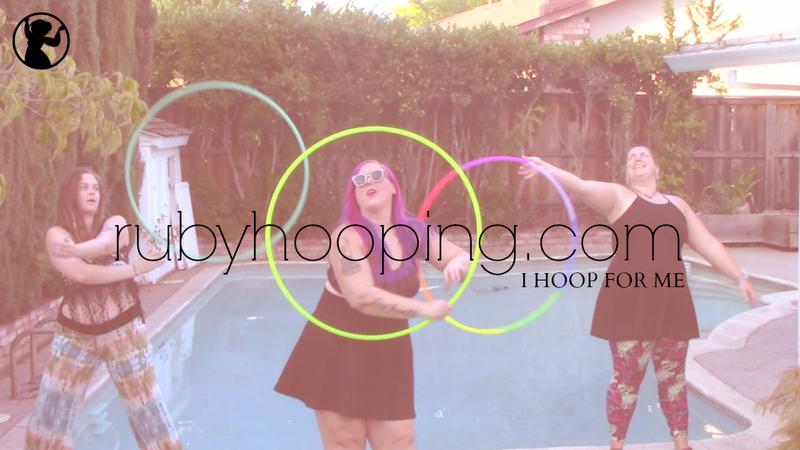 It’s important to have a large hoop in your collection for practicing core moves such as hula hooping around your waist, legs, shoulders, and chest. However, as you become more skilled you may find that you sometimes prefer a smaller hoop. This hoop will adapt to your needs for years to come. Removing the extra piece is a cinch! You just push a small button and easily remove it, then close the hoop again. The Size Shifter also coils down for convenient travel. See our Size Guide below. 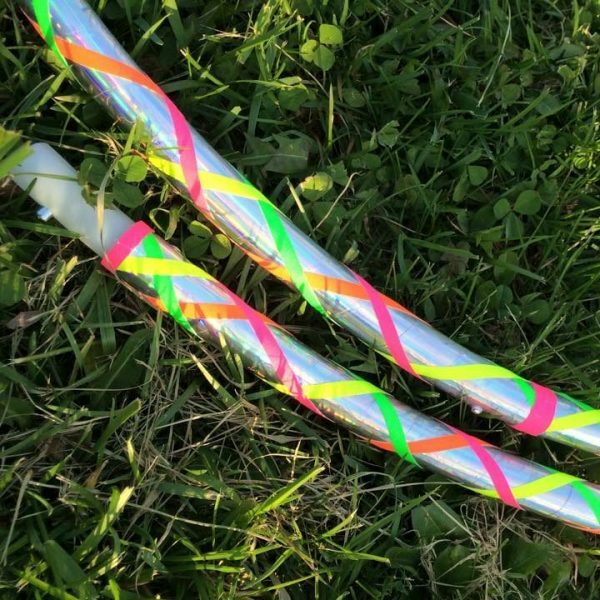 These hoops are intricately decorated with rainbow sheen tape that shines an unbelievable spectrum of color in the sun, and then wrapped with four colors of neon, UV-reactive grip tape for the best possible hooping experience. Choose from a size below based on your waist measurement. Sizes Small and Medium are made with 3/4″ HDPE tubing. Sizes Large and Extra Large are made with a slightly thicker 7/8″ tubing. If you need a custom size not listed here, please contact us at rubyhooping@gmail.com for a price quote.